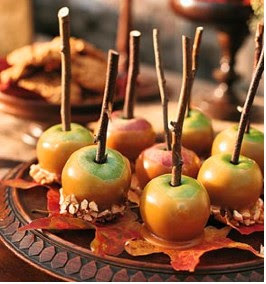 Isn't this a fabulous theme for a Halloween Party! As a kid, every holiday I would wait for ABC to air the next Charlie Brown Holiday special. I loved Charlie Brown I was even Snoopy one Halloween. 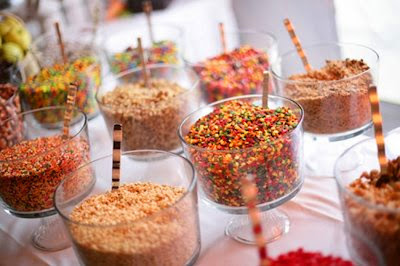 Here is my Inspiration board I can't wait to see how the party turns out! Why bob for apples when you can dip them! I love Peanuts too! 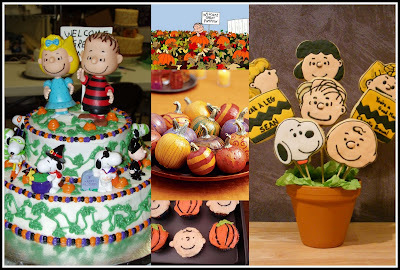 I recently made a cake with Linus waiting for the Great Pumpkin on top...you might want to check it out! Robin I just checked it out. Love it! great job. I am hoping to put your tutorial on my blog hopefully I can get around to it soon. What a great party! It looks amazing!